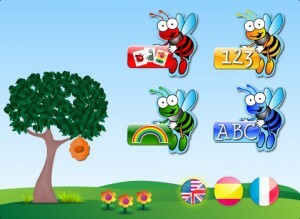 Reblog: #Win LinguiMind – a Foreign Language App for Children who Love Language! When the developer of LinguiMind contacted me about his app I wasn’t sure what to think – I’ve downloaded multiple apps for my foreign language lover, Bobby. But I agreed to give it a try, and more importantly, let Bobby try it out (his opinion’s the important one, after all). LinguiMind is unique. It doesn’t try and accomplish everything, it very simply offers basic vocabulary, numbers and letters in English, Spanish and French. The opening screen after you name a player allows you to choose basic words, numbers, letters … and one of three languages. The cute little bees are even color-coded. I wasn’t entirely sure that “cutesy” would work with Bobby, but the bright colors and simple concepts were actually perfect for him. And being able to ‘play’ with the bees and butterflies to hear them count in his chosen language delighted him! I think, with Bobby’s love of foreign languages, this app were about perfect for him developmentally. And the simple concepts and clear way of moving through the app seemed to keep his interest without frustrating him as well. LinguiMind – a Great App for all Kids, but perfect for Kids with Special Needs! Numbers section features number sequence with graphics and words reinforcing the number tapped with sequential order of graphics; which can be moved around the screen, 0 to 10 count and 10 to 0 countdown with graphics and sound. Sound like it might be a great fit for your child? The developer was kind enough to include 2 codes so two of my amazing Kat’s Cafe family can win it as part of our Giving Christmas campaign! reblog: IEP Success Kit – Giving IEP Knowledge for Christmas! 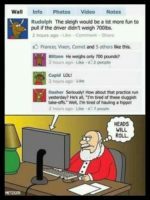 Reblog: Santa’s Reindeer Are On Facebook? 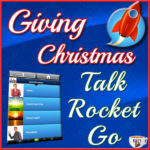 « reblog: IEP Success Kit – Giving IEP Knowledge for Christmas!